Our company provides you with the vital equipment and expertise required to operate at peak capacity. We have the trucks, cranes and heavy equipment to get the job done. Our roustabout and pipeline services keep wells functioning and oil flowing consistently. 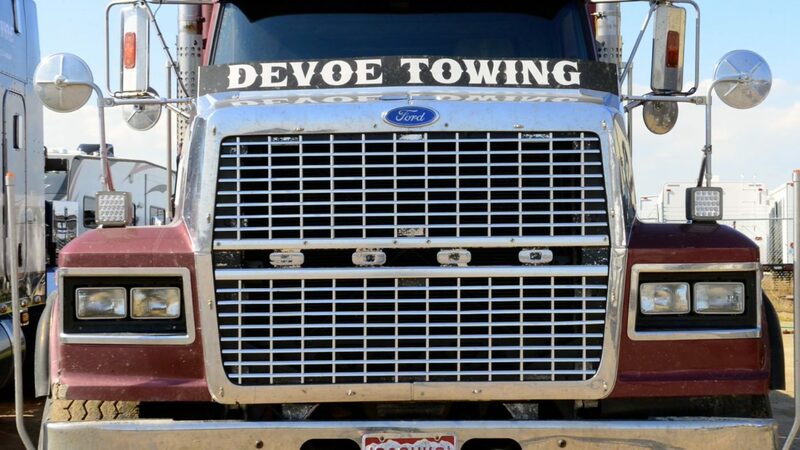 In the event of an accident, you can trust Devoe Towing to keep your operations moving, no matter how large the task. We pride ourselves in the timely support we provide our customers. Currently, we own multiple trailers and heavy equipment, enabling us to respond to a number of our client’s needs. We offer round-the-clock emergency towing services to ensure you stay operational 24/7. Day in and day out, our highly-trained employees will work to resolve any problems and ensure all safety requirements are met. We had a very unique job that involved priceless antique trucks being lifted & loaded onto a trailer that was executed perfectly and professionally without any problems at all & for a very reasonable price. We will use this company for all our wrecker needs in the future. Dave was the driver who helped us & he’s awesome! Thanks guys!